How do Large Corporations with In House Marketing Powerhouses use JB Design? Gartner outsourced their new human resources campaign recently in an effort to stack their sales force with the perfect candidates. Gartner saw the exacting advantage of using JB Design to “see the forest through the trees” while turning around a resonating and actively engaging campaign within tight deadlines. “Our tactic was to highlight current employees, making them the cornerstone of this drive to recruit similar individuals,” says J Berry of the recruiting goal. “We sought to extend a virtual handshake to the many successful sales professionals looking for new opportunities. “A highly targeted campaign can be the difference between training a sales force once and building on their strength or reaching for employees that are not retained for a long time. The latter stalls a company’s goals, expending precious time and resources. In the current market, not only does the quality of work have to engage active job seekers within the site, but also the coding and the technology have to be compatible in the multiple device universe. JB Design specializes in this type of technology translation. 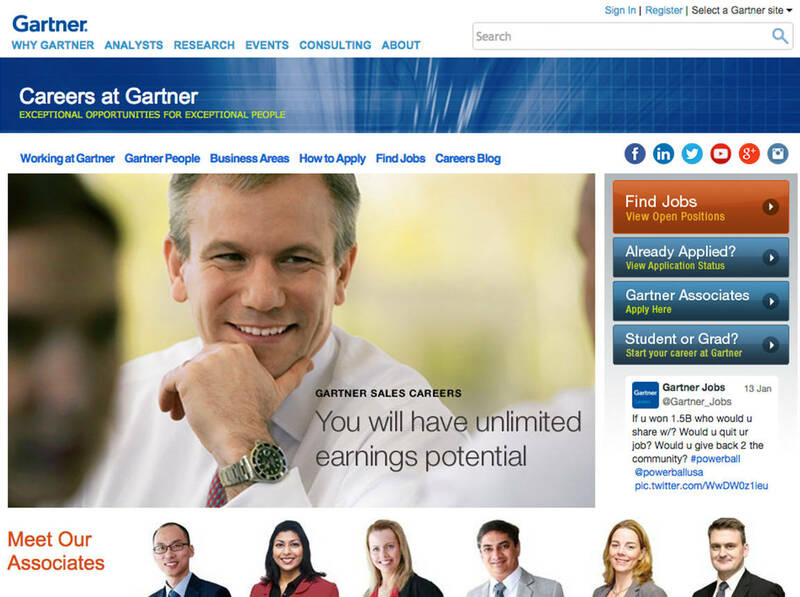 Visit http://www.gartner.com/technology/careers/ to learn more about Gartner and to see the campaign.